O Saathiya this is a first HD Video Song From Upcoming Bollywood Movie Sweetiee Weds NRI. This is a romance, comedy and drama Bollywood movie. This video song is composed by Arko Pravo Mukherjee with lyrics penned by Arko Pravo Mukherjee. This romantic song is sung by Armaan Malik and Prakriti Kakar. This movie is directed by Hasnain Hyderabadwala and writer by Tariq Mohammad. 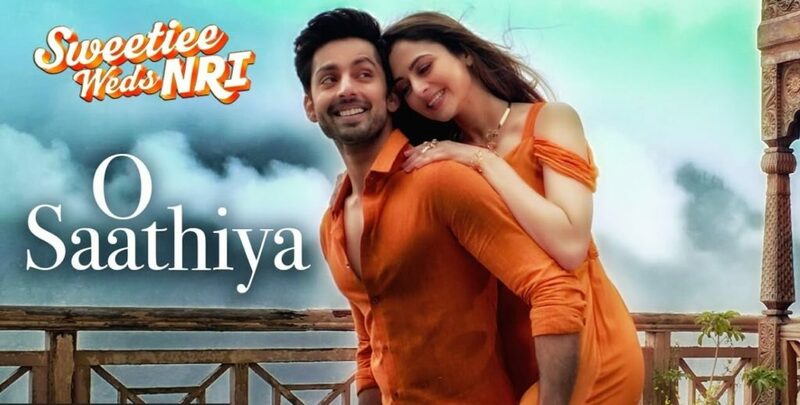 This movie features are Zoya Afroz and Himansh Kohli in the lead role. This movie release on date 02 jun 2017. Saanson ko tham le zara..
Tu mera naam le zara..